The sender was Bruno Putzeys. The email read, "you might have picked up some noises about me taking part in a new Danish project called Purifi which combines work on class D amplifiers and loudspeaker drive units specifically intending to reduce distortion in both. In both cases my partner Lars Risbo and I have achieved a roughly 20dB improvement over current designs. Sonically the impact is quite startling. "We are gearing up to become an OEM supplier of drive units and amplifiers and a few key customers have already gotten samples to play with. So we decided it's time to go a bit more public. We're setting up a private demo in Munich, combining the new Eigentakt amplifier tech with a loudspeaker based on our 6.5" mid/woofer prototypes. I hope you can find some time in your agenda to drop in and hear what we've been working on. 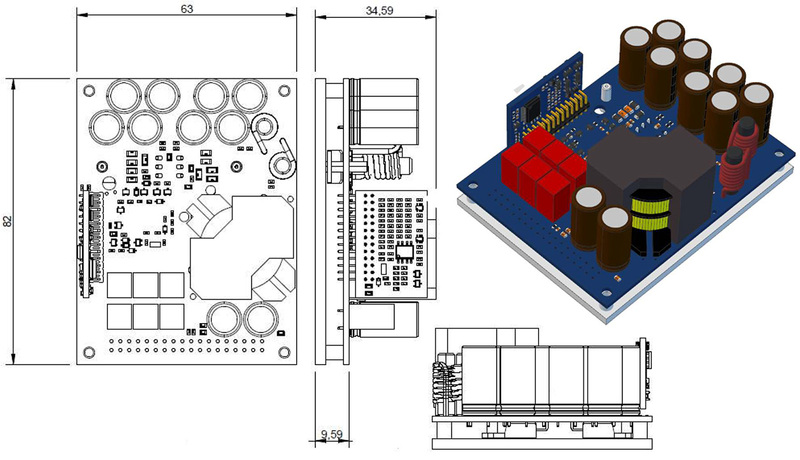 I'm attaching a street plan and preview data sheets of the driver and amplifier module. There's also some background info on all of us here. " 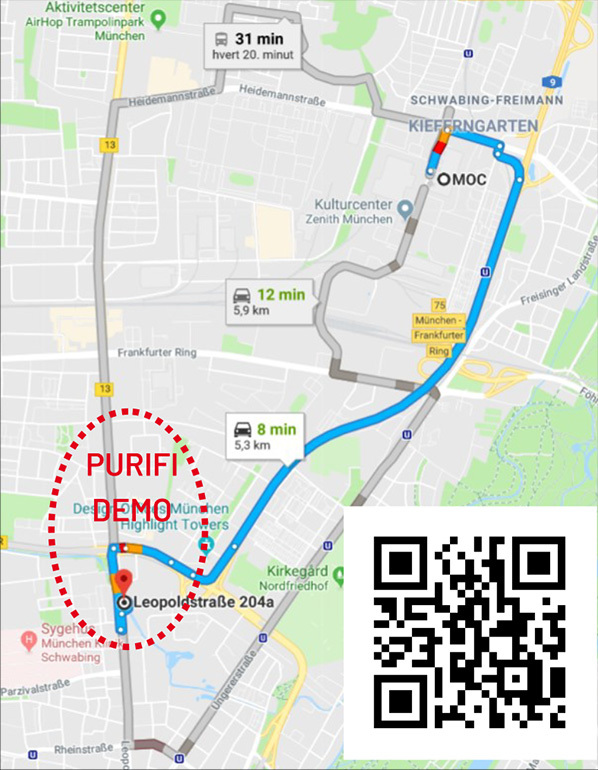 By appointment only, visitors to Purifi's launch party will book a time slot with sales @ purifi-audio.com then find them at the Timehouse Service apartment #694 on the Leopoldstraβe 204a about a 750m walk from the HifiDeluxe show's Marriott grounds. Why this venture should ring alarm bells of the exciting sort is the 7-strong team behind it. Besides Bruno who with his Ucd/Philips and Ncore/Hypex work never mind Grimm and Kii needs no introduction, there's Lars Risbo who founded Toccata Technology which was later acquired by Texas Instuments for its PCM-PWM direct-digital technology and who holds more than 30 US patent families. There's Carsten Tinggaard, founder/owner of PointSource Acoustics, previous product manager at Danish Sound Technology and CTO of Tymphany where he was in charge of establishing the Danish R&D facility which worked on Peerless, Vifa and ScanSpeak drivers. There's Peter Lyngdorf of Hi Fi Klubben, Dali and Steinway Lyngdorf, a group with 1000+ employees and multiple factories in Denmark and China. Peter's background includes stints at NAD, Snell and TacT Audio. There's Claus Neesgaard, who worked for Texas Instruments, Kim Madsen who also came from there plus developed military power modules for Alcatel's Ariane 5 Rocket and several Dynatech fighter jets. Finally there's Søren Poulsen also from TI where he owns definition and architecture development of the world's highest-power top-performing IC amplifier with 5 US patents. Purifi's initial inventions are the 1ET400A mono amplifier module and PTT19-W02-03 driver. The amplifier board delivers more than 400w/4Ω with 131dB(A) dynamic range, 12.8dB of gain, THD+N below 0.00017% and output noise of 11.5μV(A) with sub 50μΩ output impedance. The high 75dB+ loop gain across the audio band "corresponds to an unprecedented 110MHz gain bandwidth" with "negligible intermodulation distortion", with "extremely low THD at any frequency and power level right until clipping", with a "high power supply rejection ratio" where even a simple off-the-shelf unregulated SMPS won't degrade audio performance, "load-invariant frequency response", 60kHz flat bandwidth with a second order low-pass and more. The new 6.5" mid/woofer clocks a resonant frequency of 38.1Hz, a Qts of 0.4, 87dB sensitivity and ±14.7mm Xmax. It was designed around "ultra-low intermodulation and current harmonic distortion even at high SPL" and "optimized for excellent transient behavior" with "moving parts designed with low internal damping". Both graphics are purely preliminary. To my question of "presumably this new class D tech will position itself above Ncore 1200 but remain a separate entity under Purifi rather than Hypex? ", Bruno answered: "Hypex and I have separated amicably a while ago so they're not involved with any of the new work. Measured and sonically, the Eigentakt circuit is quite a step up in performance from Ncore and indeed we're looking to establish it as the new high-end standard. Purifi is actually three entities – one that does fundamental research into both loudspeaker driver units and amplifiers and then two subsidiaries to commercialize drivers and amps respectively."